When you create stories based upon a Page Design, you can connect to your Dropbox account through the Sync menu. This will prevent the need to login to your account every time you want to create a page design. 2. Press Connect on the Dropbox tab. 3. 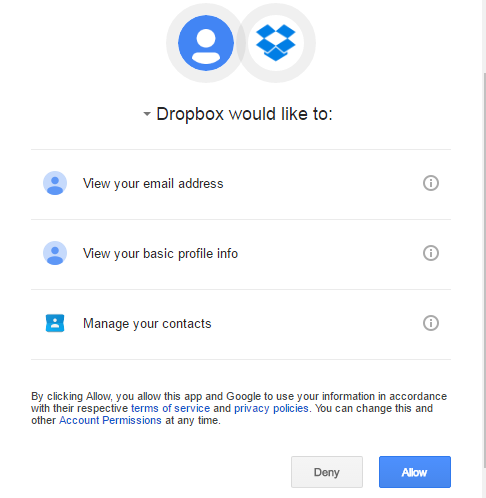 Enter your Dropbox login credentials or click Sign in with Google to use your Google credentials. 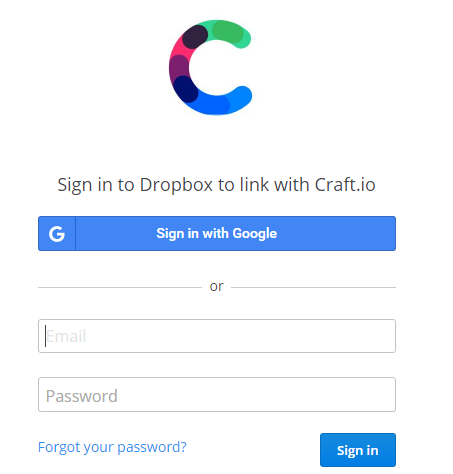 Note: You will be prompted by Google to allow Craft to view the files, and metadata in your files, stored on your Dropbox account. 3. 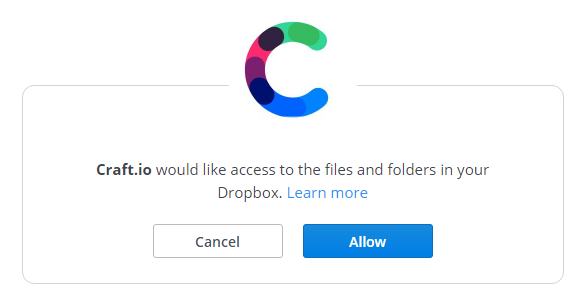 Click Allow to provide Craft with access to your files and folders on Dropbox. The Tools panel will show that you are connected to your Dropbox account.